Healthcare organizations are increasingly vulnerable to devastating cybercrime attacks on a daily basis. Web applications in healthcare are particularly exposed to such attacks. 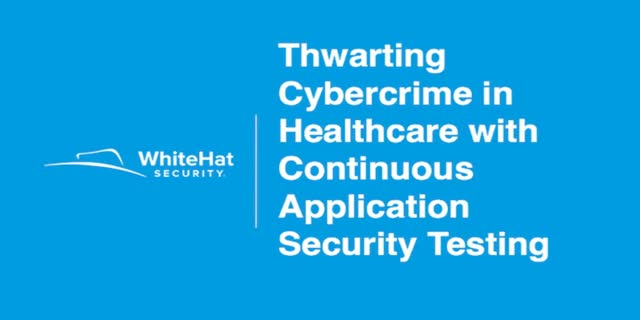 This webcast will explore how continuous application security assessment-as-a-service which combines machine and human intelligence can help healthcare organizations improve their security and risk posture.